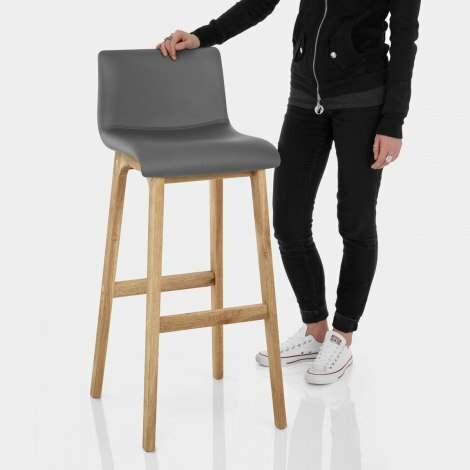 Designed to bring a wave of contemporary style to your interior, the Wave Bar Stool Grey is set to impress. The Wave Bar Stool is a versatile piece with simplistic yet striking style that is destined to be a real winner with you and your guests. 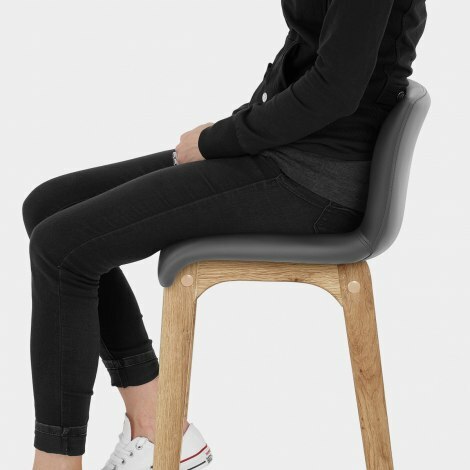 The padded grey faux leather seat gracefully curves to form a mid height backrest, and this provides optimum comfort and support when seated. Below, the four solid oak legs form a strong and sturdy frame, whilst bracing bars add to its durability. Complete with a practical footrest, it is also fixed at standard kitchen worktop height. 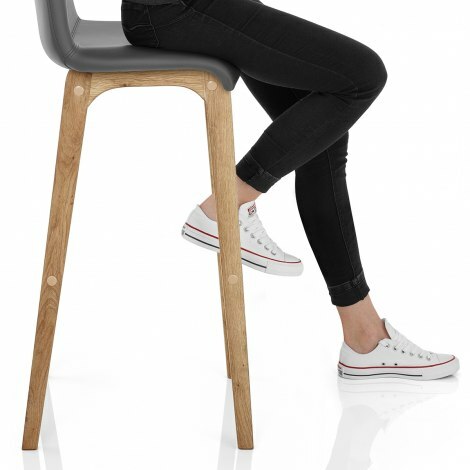 "It is perfect - great height, comfortable, sleek and stylish"
Great quality and very comfortable bar stools. Really pleased with them. These stools are just what I had been looking for. The quality is excellent at a good price. They were easy to assemble too. I would recommend. I've recently moved into a house with a fantastic kitchen island and needed good looking stools to do it justice. These stools look fantastic, I've even been talked into ordering another two. Lovely product at a great price. We found the stools to be just what we wanted for our new breakfast bar. They look very smart and strong and were easy to assemble. I bought these stools about 6 months ago. They are so comfortable that we often sit in them for hours. I am so glad that I was persuaded to buy these stools for the padding. Great service from the company.